I've been really impressed with West Elm's collections lately, and their fall assortment is no exception. I have a cart full of things I can't afford to buy right now, but want nonetheless. If you're crushing like I am, you should know they're running a sale through Monday 10/28 (that's tomorrow) for up to 25% off everything with promo code SAVEMORE. Yes. Love the geometric style. 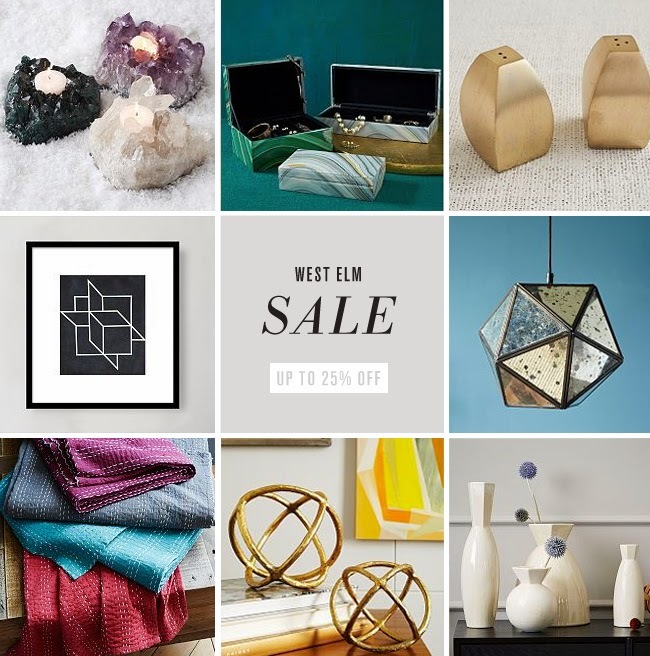 And of course love West Elm...because who doesn't??? Yes, west elm had been killing it!